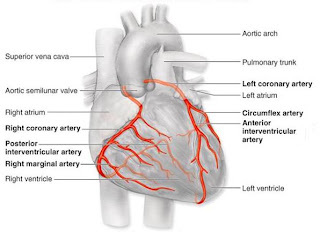 Coronary circulation is the circulation of blood in the blood vessels of the heart muscle (the myocardium). The vessels that deliver oxygen-rich blood to the myocardium are known as coronary arteries. 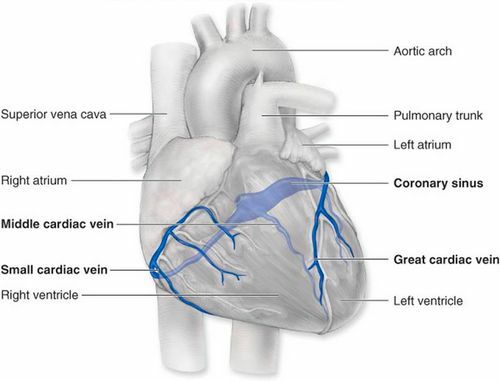 The vessels that remove the deoxygenated blood from the heart muscle are known as cardiac veins. 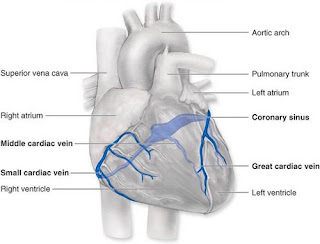 Just above the aortic valves there are anatomic dilations of the ascending aorta, also known as the sinus of Valsalva. Passes forwards and to the right to emerge on the surface of heart between the root of pulmonary trunk and right auricle. Runs downwards in right anterior coronary sulcus.